The Swiss luxury watch brand, HUBLOT launched the “Hublot Loves Women Project” in 2016 to support women who have the courage and the vision to change the future. 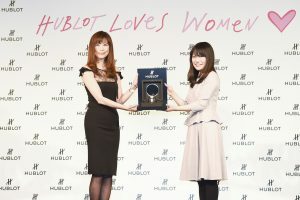 HUBLOT established this prize to recognize the most confident, powerful, and successful woman of today. Last year’s awardee was Japanese actress, Ms. Ryoko Yonekura, who was proud to attend the ceremony of this second edition. 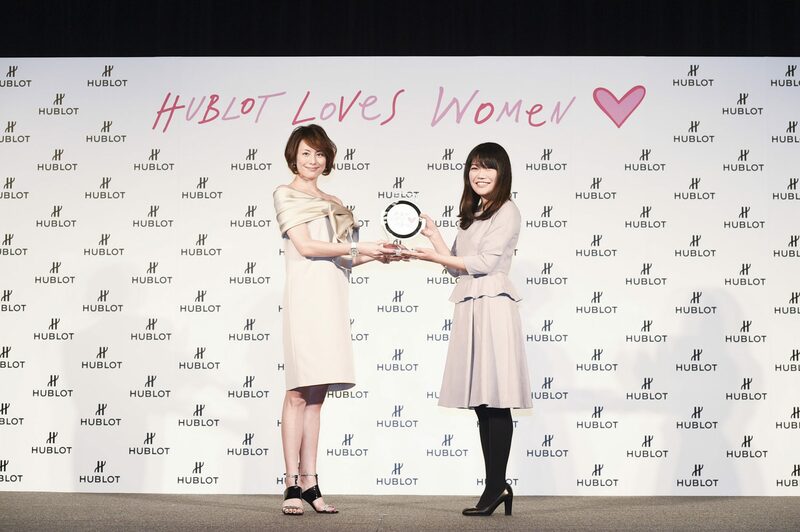 During the three months application period for the “Hublot Loves Women Award for Entrepreneurship”, more than 100 applications were received by the Swiss Maison. After careful screenings and video presentations by the juries Mr. Yuki Yamamoto, a mastermind of the bimajyo boom (bimajyo refers to women who look much younger than their actual age) and a commentator of “Sukkiri! !” at Nippon Television, Mrs. Mifuyu Ando, who became an entrepreneur and President of the Self Branding School after working at a publishing company as a columnist, and Mrs. Miwa Sakai. Only 4 teams made it to the final round where each team gave their best to present their ideas and vision. After deep deliberation, the juries unanimously decided on the winning team. At the awards ceremony, 2016 awardee, actress Ryoko Yonekura came up on stage, brightening up the venue in a spring-like gorgeous outfit. She proudly announced Ms. Yukina Hirai as the winner thanks to her brilliant presentation for “Chef Stage Tokyo”. 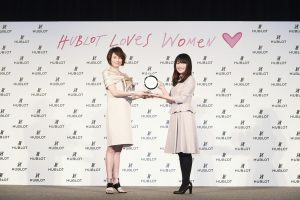 She was handed the Hublot Loves Women Award from Ms. Yonekura, as well as a Hublot timepiece by Ms. Miwa Sakai, Asia Pacific Regional Director of Hublot. The ceremony was followed by a talk show between Ms. Yonekura and jury member Mr. Yuki Yamamoto, with lively discussion about the ideal woman and the Broadway musical in which Ms. Yonekura is about to perform.